In the perspective of the publication of its 7th issue, to be published in March 2018, Humanitarian Alternatives is launching a call for papers on its focused theme “NGOs and the private sector: the State as an arbitrator?” the second part of the 6th Issue’s “Focus” section. 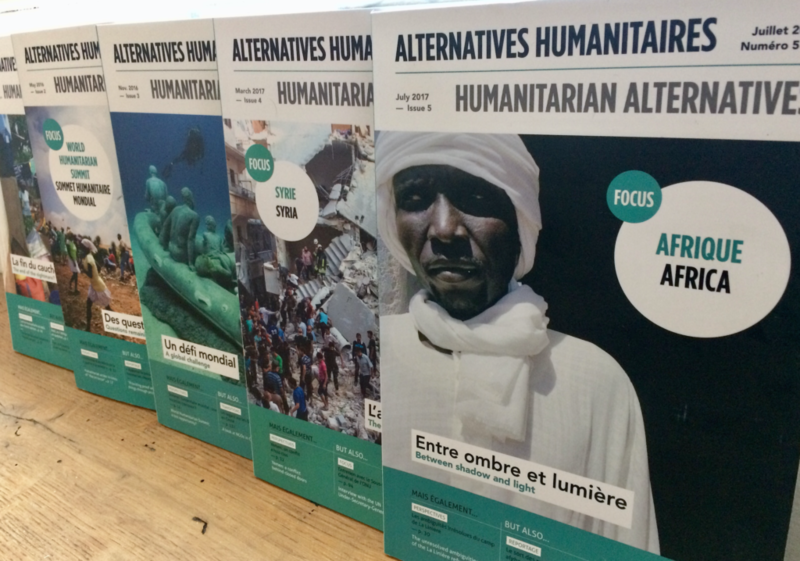 If you are an actor, a researcher or an observer of the international humanitarian community, and wish to submit a proposal for an article, please send us a summary and the outline of the paper (2 pages maximum) before December 4th, 2017 at the following email address: contact@alternatives-humanitaires.org. We will respond within 7 days following the receipt of your proposal. The final deadline for submitting the article is January 15, 2018. Please observe that the article must be around 15 000 signs (approximately 2,400 words). Under the theme “NGOs and the private sector: threat or opportunity?”, the 6th issue, published in November (on the 20th for its online edition and the 27th for the printed edition) aims to make an inventory and to set the terms of the dialogue between businesses and NGOs: is the frontier between the profit and the non-profit sector still relevant? Should we impose limits on businesses? What kind of advocacy speech NGOs need to carry? As this “Focus” section does not exhaust this essential subject, our next issue – to be published in March 2018 – will extend this reflection and this dialogue by more specifically questioning the role that the State, guarantor of the general interest and arbitrator of specific interests, can play in this debate. More precisely it will examine its role in promoting a shared ethics. Isn’t international solidarity part of the public interest? This entry was posted in Call for papers on 21 November 2017 by Alternatives Humanitaires.